Whether you’re a committed avo fan or just an occasional avocado eater, there’s no way around it. 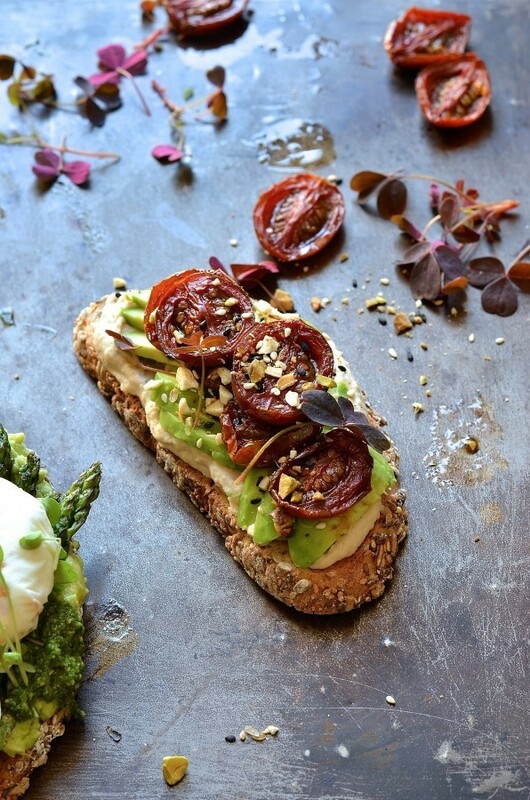 Avo toast now ranks in the upper echelons of the breakfast world. It moves in the same hallowed circles as bacon and eggs, cornflakes and everyone’s favourite weekend treat, the pancake. 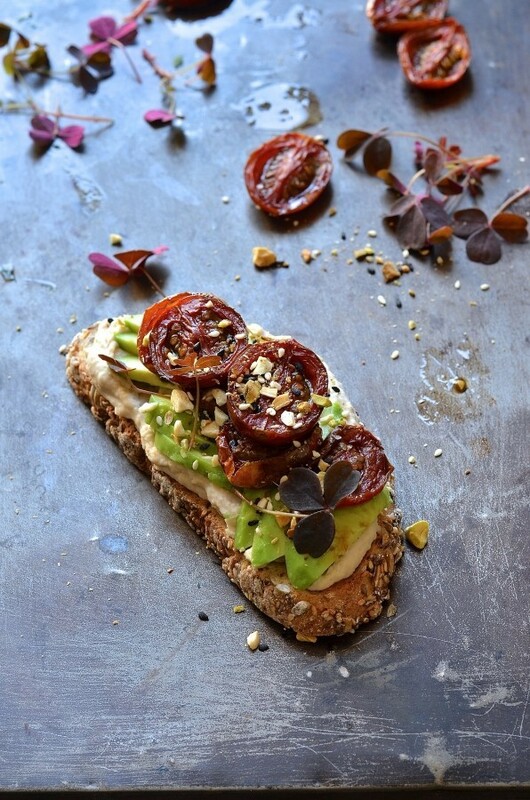 While avo toast is nothing new, the combination of toppings is as varied as they are interesting. I’ve eaten more than my fare share but this Middle Eastern Avocado toast is my latest obsession. Avocado toast hardly needs a recipe and it’s the work of mere minutes. Key to the success of avo toast is the bread (seriously good sourdough, heavily seeded multigrain or rye.) It also needs to be warm – Crunchy on the outside with a toothsome bite. Ripe avocado – smashed or sliced with a generous squeeze of fresh lemon juice, seasoned with sea salt flakes and cracked black pepper. 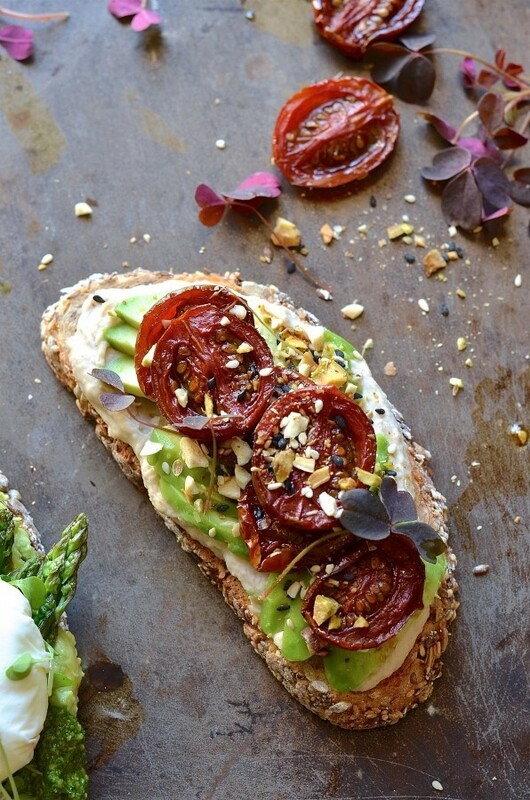 We could stop here and that would be ok, but there’s so much more to an awesome avo toast. 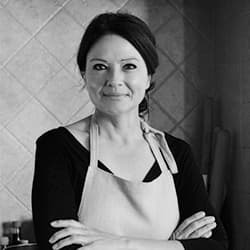 Preheat the oven to 200º C. Line and grease a small baking sheet. Lay the tomatoes on the tray, cut side up. Drizzle with olive oil and season with salt and pepper. Roast for 20-25 minutes. Remove from the oven and drizzle with pomegranate molasses. Spread a thick layer of hummus on warm toasted bread. 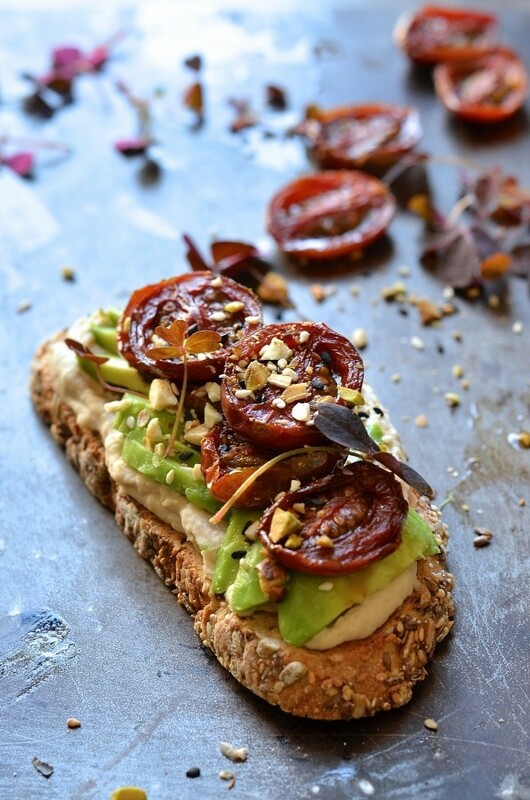 Top with avocado slices and roasted tomatoes. Scatter generously with dukkah and a few sorrel sprigs.